Plus Size Maternity Blouse by Mojo Maternity! 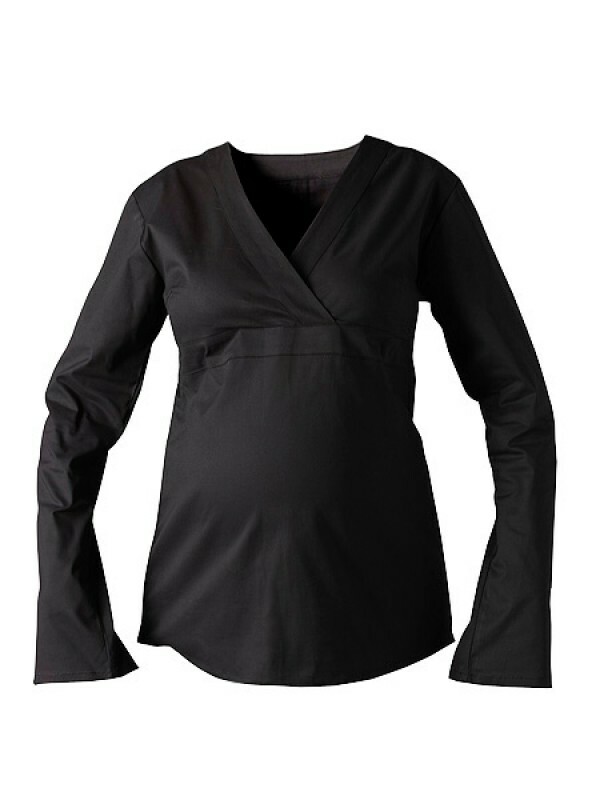 We are incredibly excited to add this gorgeous plus size maternity blouse to the collection. Designed to flatter whatever your shape, the fabric skims the curves without clinging and the classic black shade works equally well for the office, special occassion or worn casually. We must stress that the fabric is of the finest quality and feels soft and luxurious to the touch. The blouse has been specifically designed for curves and looks particularly great when worn over a camisole meaning it doubles up as a feeding top too! You will be wearing this long after baby arrives. For an insight into the design processes we follow when manufacturing our plus size maternity clothes please see Constructing the Perfect Fit.